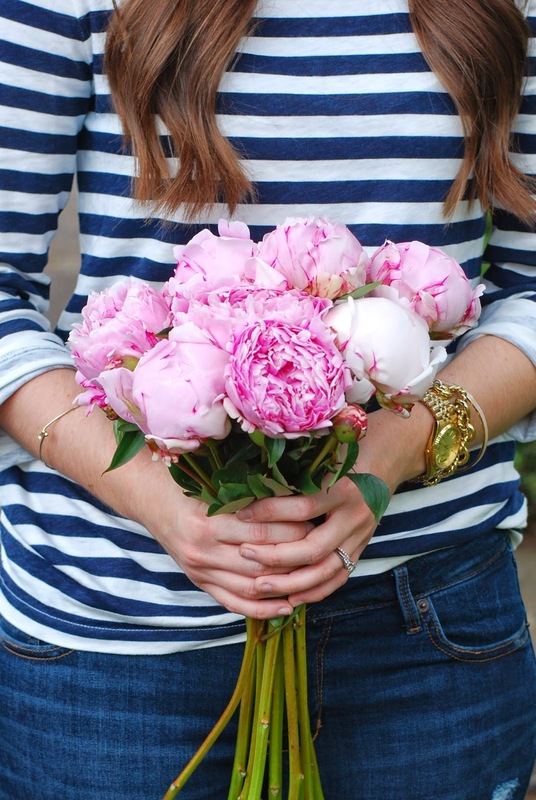 Stripes and peonies, an unbeatable combination right? I picked up this gorgeous bunch at the Salem Saturday Market and I am so in love, I can't stop staring! Peony season is so short, I have to take advantage as often as possible. I posted on instagram yesterday, I was so lucky to received peonies from two friends and my dad, now I'm swimming in peonies! very cute outfit and ah, such pretty peonies!